In Framework we have enjoyed a stimulating working relationship with colleagues in WWF UK over many years. A couple of weeks ago I was asked by them to think about what could be in an infographic explaining the nature of OD – using the OD cycle as a starting point. Being a bit of a visual thinker, I started to sketch out the cycle and see where that took me. 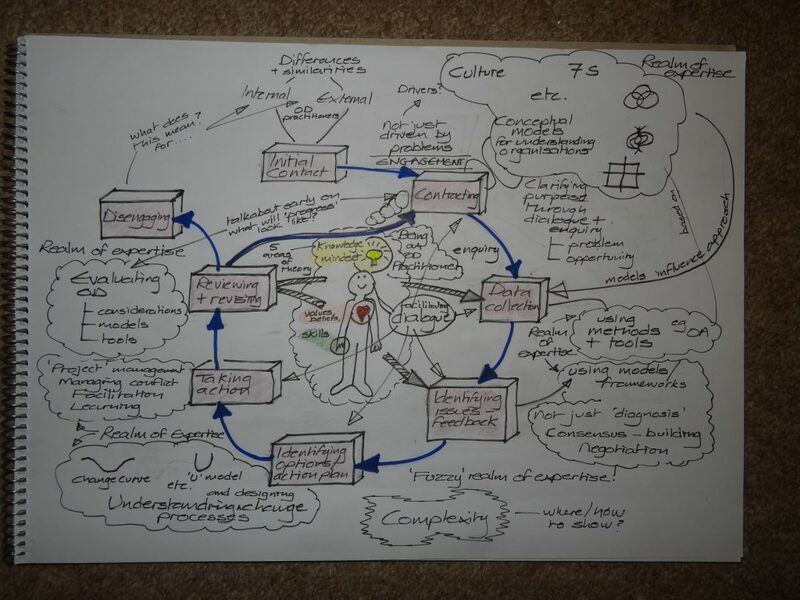 Pretty quickly it guided me into the province of the OD practitioner and the realms of expertise that OD practitioners need at each stage of the organisational development process. The drawing that I produced is definitely a ‘work in progress’! As it turned out, my picture was not quite what my friends at WWF needed for the audiences they had in mind, but it generated some useful discussions. I really enjoyed the process of drawing and it generated a number of interesting questions that I am continuing to think about. Does the OD cycle really apply only to ‘diagnostic OD’ as conventional wisdom suggests, or could it be adapted for ‘dialogic OD’? If so, how? Which ‘realms of expertise’ are common to both approaches? 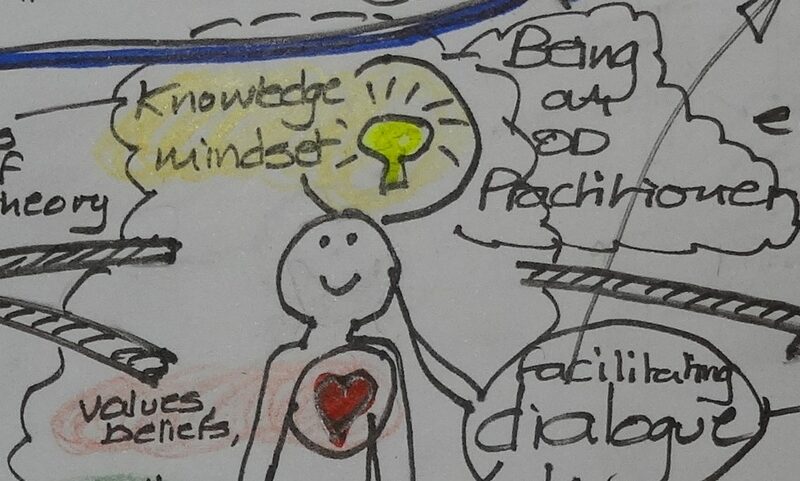 Which realms of expertise (if any) are unique to each approach to OD – dialogic and diagnostic? I’m looking forward to exploring these issues further – building on my drawing in the process.